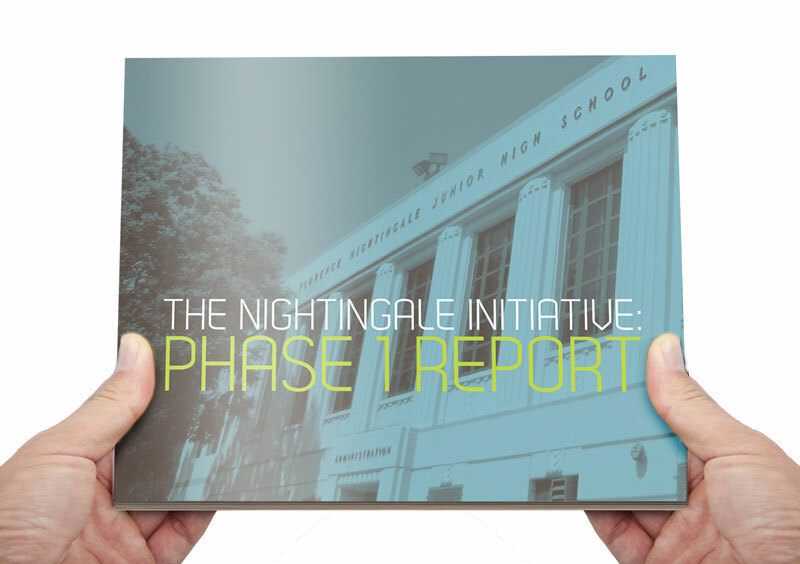 Designing a program that reflects the needs and interests of the stakeholders in the Nightingale community is central to NLI’s development approach. In order to conduct this initial research with students, teachers, parents, and community members, the New Learning Institute partnered with local organization COMMONStudio. COMMONstudio, the Los Angeles affiliate of Project H, is a social design consultancy committed to engaging in interdisciplinary approaches to objects, systems, tools, and spaces with an emphasis on the issues of urban ecology, social enterprise, and adaptive reuse. COMMONstudio interviewed and conducted focus group activities with the Nightingale community for eight intensive weeks. This culminated in a comprehensive report that reflects a process of working directly with teachers, students, parents, and community members to better understand and align their diverse perspectives, needs, and voices. The purpose of the research and assessment is to provide a broad overview of the inherent challenges and opportunities both on campus and off, an understanding of all stakeholders involved, and a strategic approach for the development of a long-term project based learning program capable of operating in the context of Nightingale on a sustained basis. Download and read the report here.